Dubai, 19 November 2018: Mughal-E-Azam, the signature premium dining restaurant at BOLLYWOOD PARKS™ Dubai, has re-launched with a brand new menu which takes guests on a royal culinary journey through India, with mouth-watering tikkas from the north, coastal-inspired delicacies from the south and decadent Biryanis from the Deccan region. 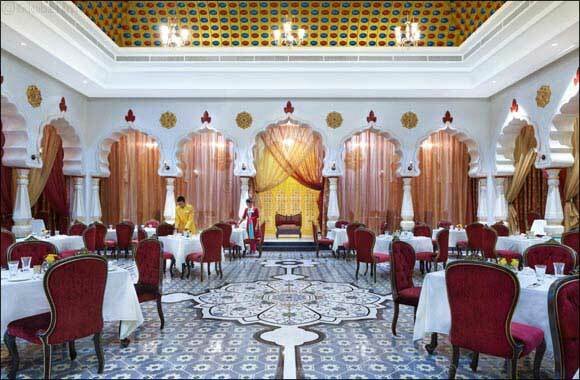 Tucked away in the iconic BOLLYWOOD PARKS™ Dubai, the classic restaurant is inspired by the 1960s blockbuster “Mughal-E-Azam” and offers a royal dining experience for the whole family. The restaurant recreates the classic ambiance of the sixties with a menu offering famous Indian dishes using authentic techniques from different regions of India. The all-new dining experience at Mughal-E-Azam promises grandeur authenticity and innovation, with an expanded menu that captures the soul of the different regions of India. Many dishes at the restaurant use authentic techniques such as “Dum” or “Martabaan” which elevate the flavour and character of every dish. At the helm of Mughal-E-Azam is Chef Suresh Kumar, who brings decades of experience in the culinary world. Along with his team of chefs, he has reimagined the menu to include several new masterpieces, while elevating existing dishes. The restaurant is the perfect place to enjoy a meal fit for a king or a queen after exploring the spectacular rides and attractions at BOLLYWOOD PARKS™ Dubai. Some of the signature dishes at the restaurant include the Cochin fish curry (traditional fish in coconut milk and curry leaf); Dum Ki Sunehari Nalli (slow-cooked lamb shank with saffron); Mughal-E-Azam Rogan Josh (lamb, tomato and spices); and Dum Gosht Biryani (lamb morsels ‘dum’ cooked and basmati). The restaurant operates between 1pm to 9pm everyday and remains closed on Sunday.